last 3 day almost means hell for me. i saw lots of omens about mafia and the insane in China authority exerting sufferings onto my beloved, in which situation i encountered several times when i was in panic and dumb and each time broke my heart and forced me into asylum. however now with even strong link with God, i know that's illusion cult persons manipulated. God never fails me, and never fails the appeal of his beloved and all plight just a setting by God to see u r led to the brighter. i know i am exactly the brightness and i can rid my beloved agony with my vision. 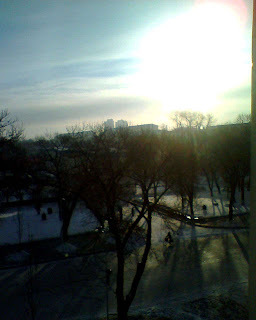 i know all my beloved in their happiness and live without anxious, all of them, including myself, forever with their dream out, with the fruits they like in their reach out of the tunnel of blurred interleaved wish list.sunny day after the 3rd and the most heavy snow in Qiqihar, China since 2008 commenced yesterday. i stayed in peace but omens still haunt me and let me pain. i decided to follow the bright but still i see the wrong love let some persons mad and self-destructive. God sees they r essentially a passing&fading echo in cold invisible universe. they born to suffer and live in scar and in tomb since their birth, like dogs, like hooligan, like cult magician. they doomed to tomb since their birth and die in scars and wound. in any time they just a shadow and shake, anyone can kill them and do kill them. its a bright sunny morning. 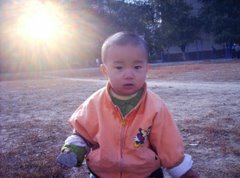 the company i worked once now dispatching rice their associated farm grew.i and my baby son live with the grow of my kingdom, so did my arms and my staff, and my people. i live with what my grand father prepared for his offspring and constantly producing and reproducing with the wellbeing God grants. God never let his son and his creators suffer, except the evils, which is exactly a void, just remind human their home in God's shine. that's my message in history. all my beloved share the fountain of holy and live their way with leisure and harmony, except distress. benzyrnill, set to fly- do it, make it.